Home » Carry On To Carry On? Ready For Another One? Carry On To Carry On? Ready For Another One? It’s been reported via several sources including Digital Spy that a new Carry On film is in the works and is to be called Carry On Doctors. The new film will be written be the writers of the sitcom Two Pints of Lager, Tim Dawson and Susan Nikson. Filming is to start in October but as of yet no casting details have been anounced other than to say it will be a entirely new group. So no roles for Barbara Winsor or Jim Dale then! Trailer removed, time for us to find another one! I really don’t think you can re-capture the magic of these films, the time, the cast were all perfect. Sometimes everything comes together and we are treat to a bit of comedy gold and that’s exactly what the Carry On films are. Probably should leave well alone, it didn’t work last time with Columbus (1992) so why will it be any differnet this time around. What’s wrong with enjoying the ones we already have? Although we need ALL of them releasing in a restored version on Blu-ray as they seem to have come to a halt in that regard. So are you ready for the next generation of Carry On films? Or are they better left as the classics we all know and love? Let us know what you think by leaving a comment below. 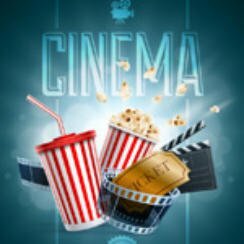 For more movie news & new releases bookmark Popcorn Cinema Show and never miss a thing!